One of the benefits of of our H.O.G. Chapter and its Road Captain program is that the Road Captains introduce our members to roads that they never would have rode on had they not ventured out on a chapter ride. Most people including myself just don’t randomly go riding down strange backroads. Some people who own motorcycles, myself included, wake up on a nice sunny day with no plans and the road is an empty slate. Without a plan, a destination or an idea these people just stay home. Others are spontaneous and throw a leg over and just hit the road without a clue following nothing but their nose. And then there are others who can dream up a route on the spot and hit the road. I imagine there is a huge group who heads to the local biker destination bars thinking they are the quintessential biker. For those of us in the first category belonging to a good H.O.G. chapter is awesome! We check the calendar to see what’s going on, show up at the meeting site and then a Road Captain will take us somewhere fun! We may be newbies or rubs but we put hundreds if not thousands of miles on those motorcycles thanks to the H.O.G. Road Captains and the online chapter calendar. Regardless of what you call us, we ride em! This is the very process that opened my eyes to the fact that going to Hooters on bike night isn’t what riding is all about. 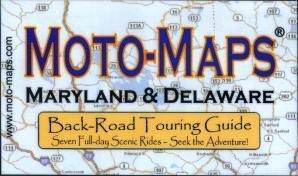 1) I check Moto-Maps to see if there are any recomended ride routes in the area I am looking to go riding. 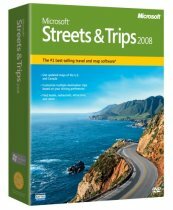 2) I use Microsoft Streets & Trips to connect the roads and find other roads. 3) Somehow I manage to schedule several rides to the same area so that we can check the routes out, change them up and fine tune them before the actual chapter ride takes place. Throw away the maps……… We ventured out Sunday afternoon/evening…. No destination in mind.. Come up to a stop look and think.. Right or left???? what the hell left this time right next time… After getting lost on some AWESOME backroads not having a clue on where we were at made it even more interesting.. 4 hours later we were back home. So that goes to show you can have a GREAT RIDE without mapping out every little detail…. I was thinking of you when I described category two. Our current HRC is a category three. Thank you Janet. Glad to hear from you on this topic. I made a commitment back in March to lead a ride in June. I had to lead my merry band from north Delaware to Harley-Davidson of Washington DC. I didn’t want to use the DC beltway because it scares the crap out of me. I was determined to find a scenic route. Diana and I spent many miles on several trips testing the different routes 3 hours each way, sometimes in the rain. When the Patriot Tour came everyone was complimentary about the ride. The men who thanked me were some of the men I admire the most and that made me happy.